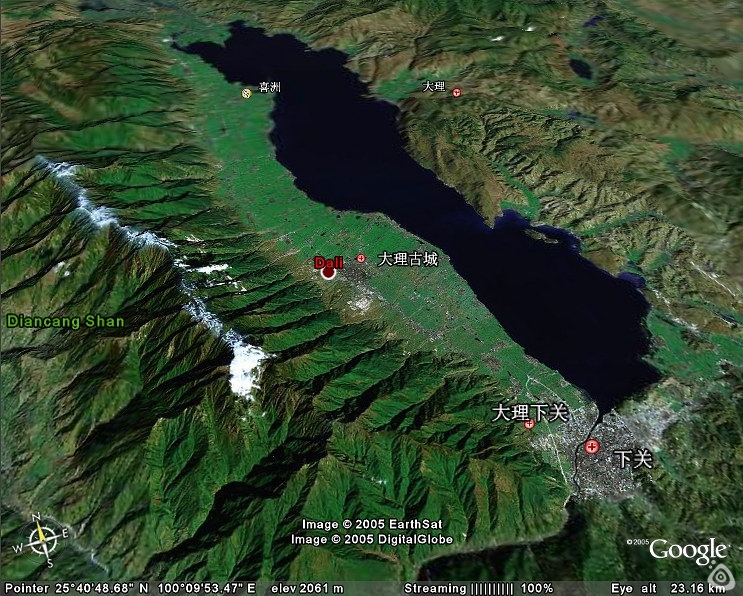 Bing is a strong Chinese woman in her late 2os, and she has been a traveller for many years. She is from Heilongjiang Province and came to UK to study in 2010 and went back to China this year. Her plan is to run a youth hostel in Harbin. 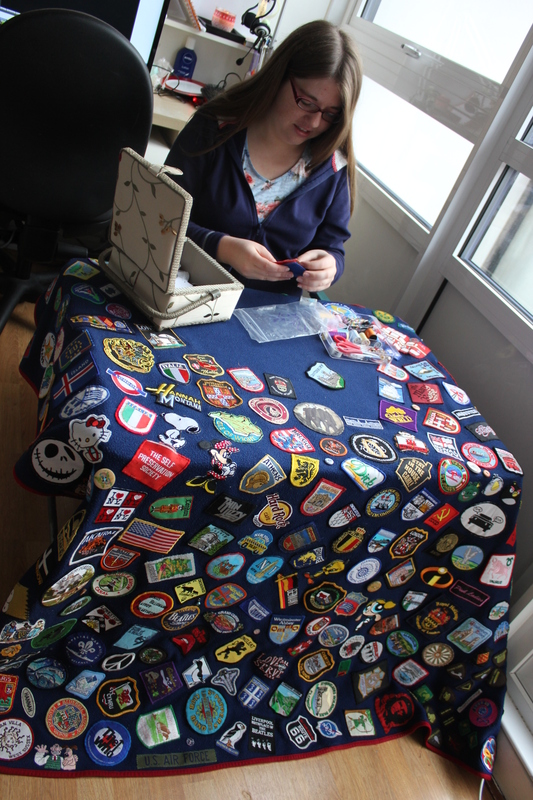 Her story with souvenirs were started by a set of poker cards she bought in the Forbidden back in the winter of 2006. Bing’s first set of souvenir poker card. Themed on Forbidden City. Photo provided by Bing, 24/Nov/2015. Same below. “I bought this set of poker cards because each card of it has a thorough and detailed introduction of an ancient building in the Forbidden City. It is a souvenir comes with knowledge of the place I have visited – it can help me understand the place better. Also, it is quite small so easier to carry home than other souvenirs. Not so likely to be broken and it is easier to keep.” Bing said. After nine years of collection, Bing’s poker cards have reached a certain number. Most of them were bought at the site of interest, but some of them came from some special shops which only sell cards. Bing’s collection of souvenir poker cards. Beside souvenirs, Bing also collects cards in other ways, like in instant noodles (in some certain era, some brands of instant noodles would put cards in the package for customers to collect. Those cards might come from pop TV dramas, novel illustrations…e.g. Pearl Princess, see below). Bing’s card collection of TV drama, Pearl Princess. After collecting cards, Bing is interested in collecting other souvenirs. When she travels to a new place, she would buy a set of poker cards, a fridge magnet and send herself a postcard. Bing started collecting fridge magnet only 1 year ago, so “my collection is not many”, she said. Bing’s post cards collection, the text side. Bing’s post cards collection, the pictorial side. 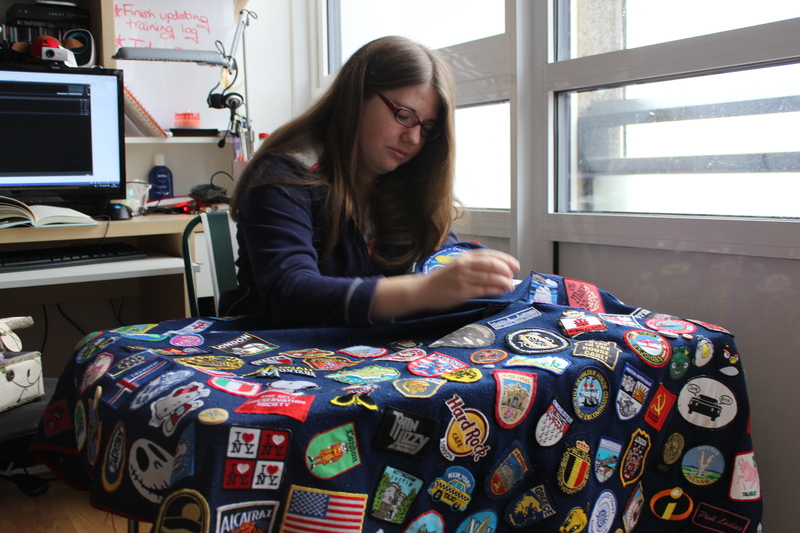 Bing’s plan is to run a Youth Space – her own youth hostel – in Harbin next year, and she would display all her souvenir collections in the Youth Space. Best wishes to Bing and I would update here when her Youth Space is open and continue following her souvenirs’ life. According to Oxford Advanced Learner’s Dictionary, to tie-dye something is to make patterns on cloth by tying knots in it or tying string around it before you put it in a dye, so that some parts receive more colour than others. The main Oxford Dictionary says to tie-dye is to produce patterns in (a garment or piece of cloth) by tying parts of it to shield it from the dye. Wikipedia offered a rather confusing explanation which mixed tie-dyeing and other resist-dyeing techniques, but it got the technique right. The manipulations of the fabric prior to application of dye are called resists, as they partially or completely prevent the applied dye from colouring the fabric. Resist-dyeing techniques were found in Africa, Japan and South Asia – where Dali Zhoucheng Village (Yunnan Province, China) is. Zhoucheng Bai Zu tie-dyed souvenirs plant a seed deeply in my heart when I travelled to Dali with my mom 17 years ago (1997). This traditional folk craft product of the ethnic minority Bai Zu somehow managed telling me how important authenticity is back that time. Bai Zu tie-dyeing is closely related to Bai Zu people’s life, linking various forms of traditional culture and cultural space. Also, it combined culture and art in one object; hence it has a unique and precious value and vital significance for both Bai Zu culture and Chinese culture as a whole. The natural environment has deep influence on the ethnic nationality of Bai Zu people. Bai Zu people worship the colour white, so we are called Bai ethnic group – “Bai” means white in Chinese. “You can see our houses use white walls. We like wearing white clothes – our young people all wear white clothes. White means purity, honest and loyalty and integrity, etc., good characteristics, we worship these characteristics.” Yihui Chen, the heir of Blue-white Tie-dyeing House said. It’s a Bai Zu ethnic tradition that young people wearing white clothes. 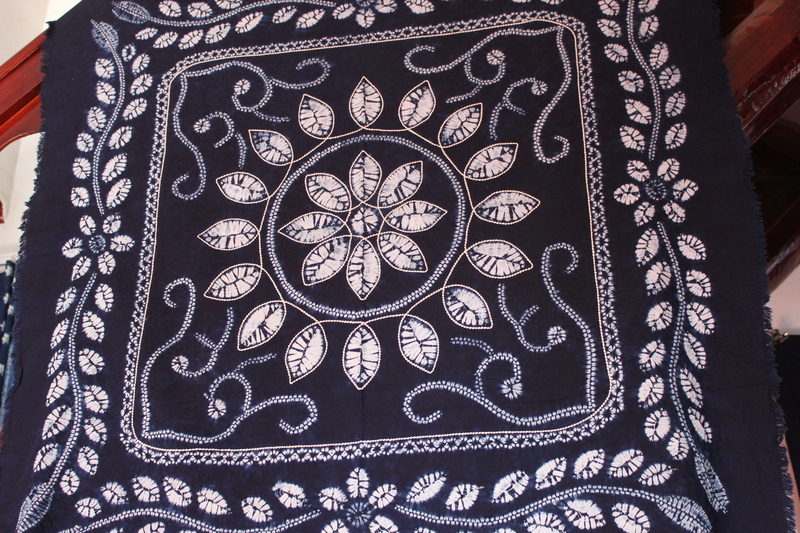 People of Zhoucheng Village lived on hillside, they went to fields to get firewood, the indigo might coloured their white clothes, and then they discovered that the indigo can be dyestuff, and it can make beautiful blue background and white flowers cloth (Chen, 2015). In 2006，Bai Zu tie-dyeing was listed in the first national nonmaterial cultural heritage lists (Intangible Cultural Heritage). Now some Bai Zu tie-dyeing exist as souvenirs. In order to learn about the current situation of tie-dyed souvenirs, I decide to go to Dali again. Dali is a small and remote town in Yunnan Province (southwest China), which is an ethnic minority autonomous region inhabited by ethnic minority Bai Zu. 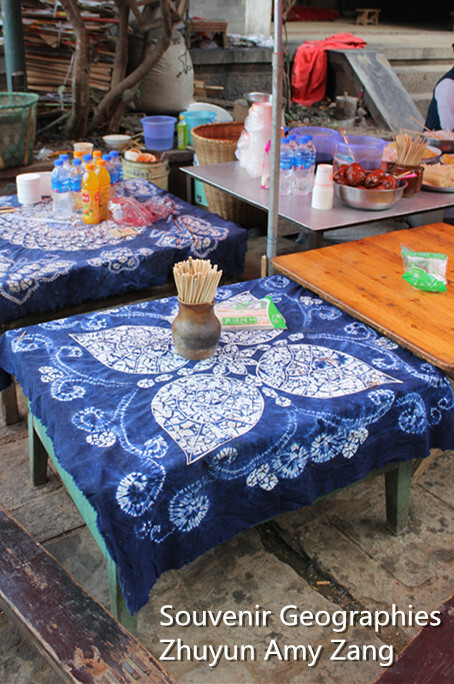 Fieldwork site is Zhoucheng Village (see figure 2), the birth place of Bai Zu tie-dying, and naturally now the making place of most Bai Zu tie-dyeing souvenirs. 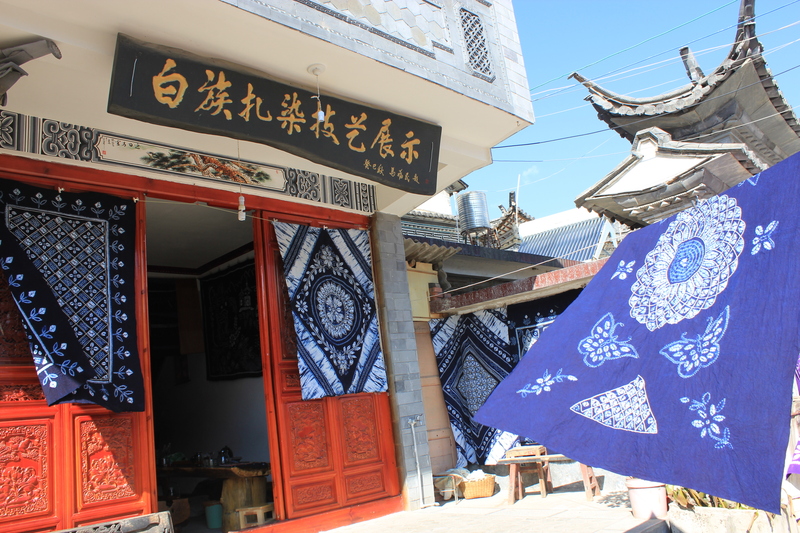 My fieldwork was carried in Blue-white Tie-dyeing House in Dali (the picture below), and my story is to be continued. Wang Wei is a female Chinese from Tieling in Liaoning Province, which is in northeast of China. Being in her mid-twenty now, she has been living in UK for 5 years. She said she had spent the most beautiful years of her life in UK. Finishing her study in 2012, she and her Polish boyfriend (now her fiancée) moved to Reading and both found jobs in Reading. She and her fiancée mortgaged a comfortable two-story house in east Reading. Firstly arrived in Wang Wei’s house is 4 o’clock in the afternoon. Sunlight penetrated the wide window on the wall dividing the garden and the living room. She invited me in and asked me to sit down on the sofa. While she was away in the kitchen fetching a cup of tea for me, I took the chance to observe her newly bought house. Water-blue wall paper was smoothly glued on the walls. The floor is clean. 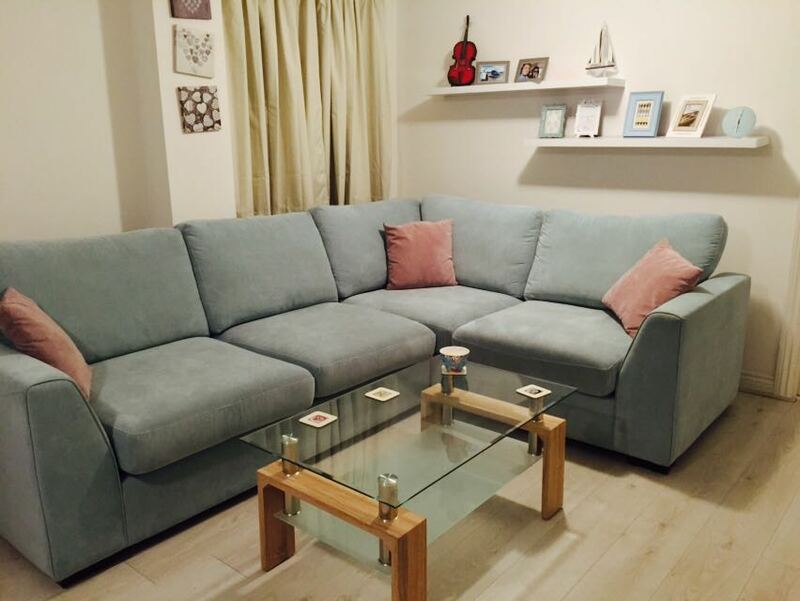 The sofa is dry, soft and clean. In front of me is a modern style glass coffee table which added extra life to the living room. The glass on the coffee table is clear and shiny, with reflection of bright window. There were some cakes and snacks on the coffee table. The coffee table has a black lower shelf, with some magazines, CDs and other things on it, well orgnised. Everything in this house were bright and new. They were new-borns in this family and were ready to have their own biography. While waiting for the water to boil, Wang Wei came out from kitchen, and took two beverage coasters from the black lower shelf, placed them on the coffee table. These two beverage coasters were ordinary ones, with some flowers on their surfaces. Wang Wei went back to the kitchen and carried two mugs out with her, and placed them on the two floral beverage coasters. She bought the souvenir object in August 2012 in Beijing Capital Airport, when she and her fiancée flied back to UK from Beijing after they went to pay a visit to Wang Wei’s family in China. I interviewed Wang Wei on 25 Oct 2014 @ her home in Reading, which was two years later after their trip in which they collected this souvenir. Back in 2012, it was her first time to bring her fiancée home to see her parents. Their transnational relationship has broadened the scale of this interview immediately. When asked should souvenirs be produced locally and why, Wang Wei gave me a clear answer. Wang Wei explains: if it is sold in a tourist attraction spot it is better to be produced in that place, because it represents that place’s character. If it is sold in transporting places like airport, she is ok with souvenirs represent a larger scale to be sold. She offered an example, she is happy to see souvenirs represent other places in China to be sold in Beijing Capital Airport. Wang Wei holds a half open opinion for out-sourced souvenirs too. Firstly she stands in sellers’ shoes: to the sellers (who sell outsourced souvenirs in a tourist attraction) there must be some benefits. 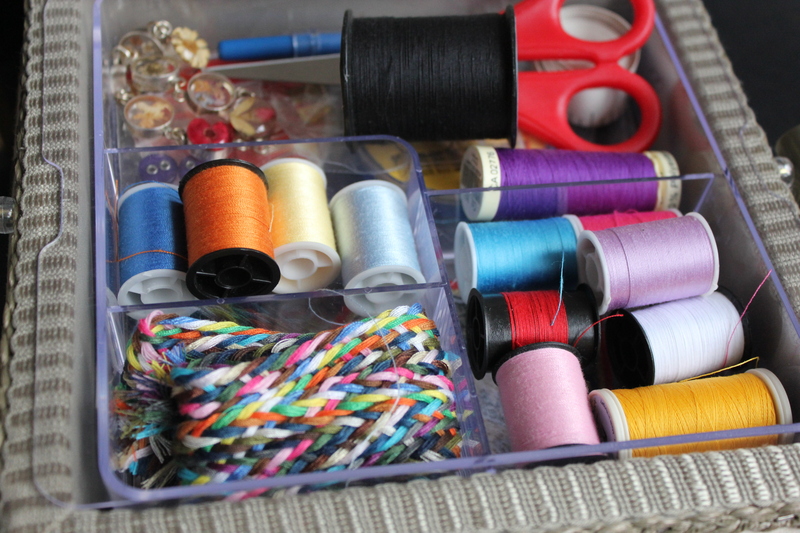 As we know, if the souvenirs are produced in countries like China and India where human labour is cheaper, the purchasing price can go down a little bit, if sold at the same price, our-sourced souvenirs can bring more benefit to souvenir shops. But for foods, Wang Wei really prefers it to be produced locally, and even on the spot, because of the freshness. Then we talked about the usage of this beverage coaster souvenir. Wang Wei thinks a souvenir coaster should be used as a coaster: glasses should be placed on it. 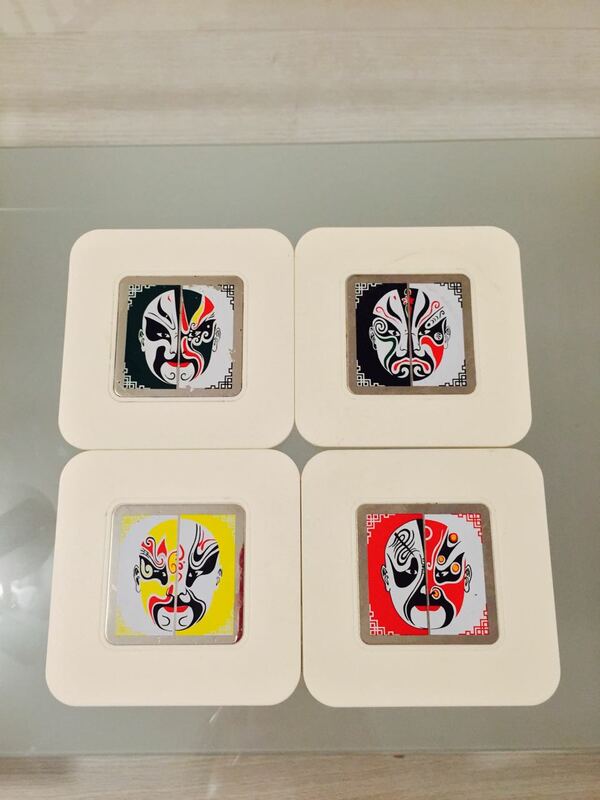 “When I drink a cup of tea, I place my cup on this coaster… But since it has the Beijing Opera Facial Masks design on it, I handle it more carefully.” She explains how she use the Beijing Opera Facial Mask beverage coaster. Wang Wei prefer to collect functional and practical souvenirs which will become handy at some points. She also displays photos in well-designed frames in the house. 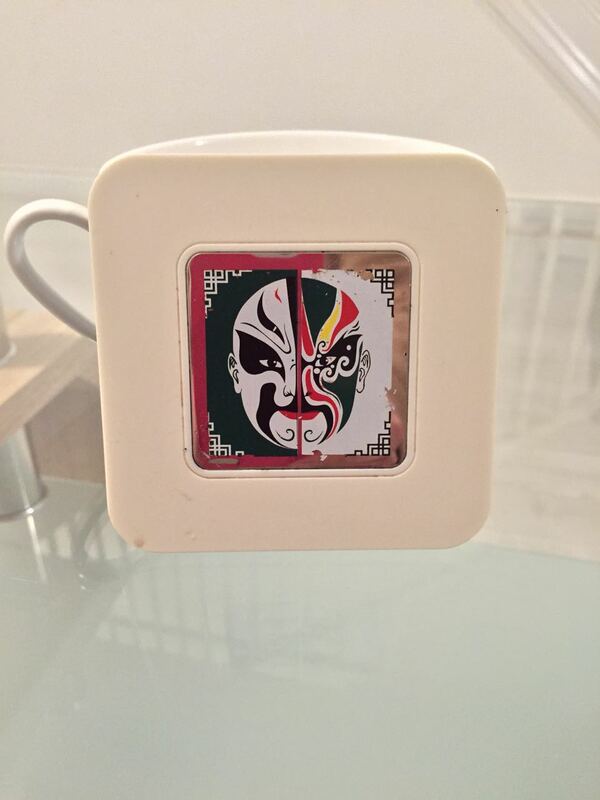 There is an interesting point raised in Wang Wei’s interview: this Beijing Opera Facial Mask beverage coaster does not only reminds Wag Wei of beautiful and wonderful memories, but also unpleasant memories. “Every time I saw it it reminds me the flight in Beijing Capital Airport was delayed for two hours that day… Hehe… And how helpless my fiancée and I were…” Wang Wei’s face expression showed her unpleasantness was true and the souvenir did remind her about the unlucky times. 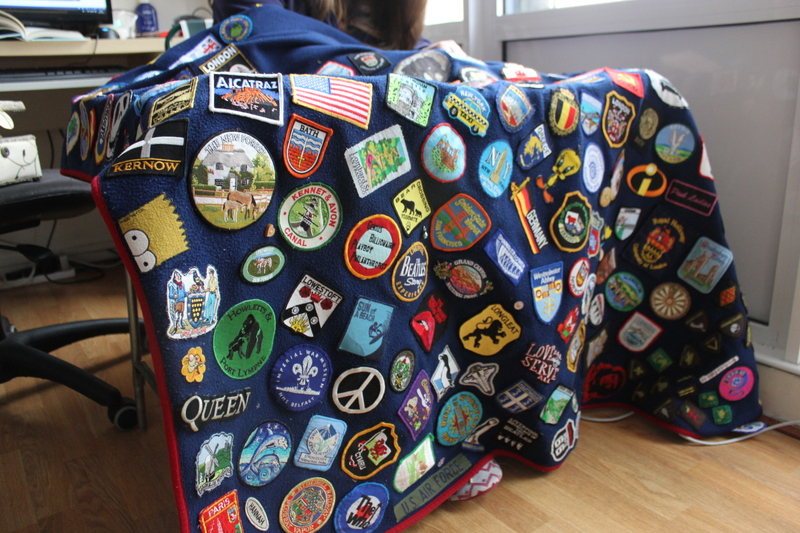 But she indicated that she will keep this souvenir, no matter what. In my opinion this souvenir plays a more important role in Wang Wei’s home-making which she herself has not thought of yet. Wang Wei originally came from China and now living in Britain with her Polish fiancée. Souvenirs from Poland and China would presumably have a huge impact on abstract conceptualization of home in Wang Wei’s case. Home is not just a place for relaxing activities but also being a meaningful place. 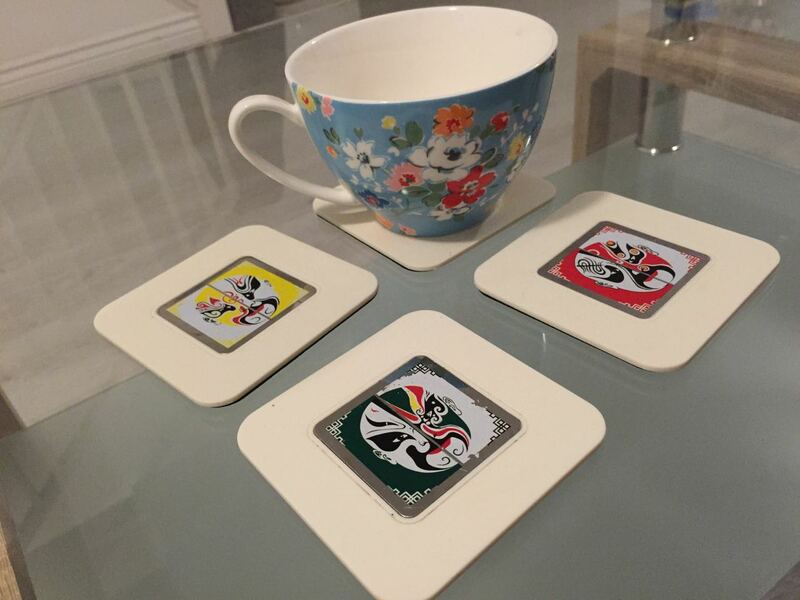 Wang Wei’s Beijing Opera Facial Mask beverage coaster is a material and symbolic intersection of Wang Wei’s home and her homeland China. The evidence of this opinion can be found in the ways how Wang Wei handle this Beijing Opera Facial Mask coaster. 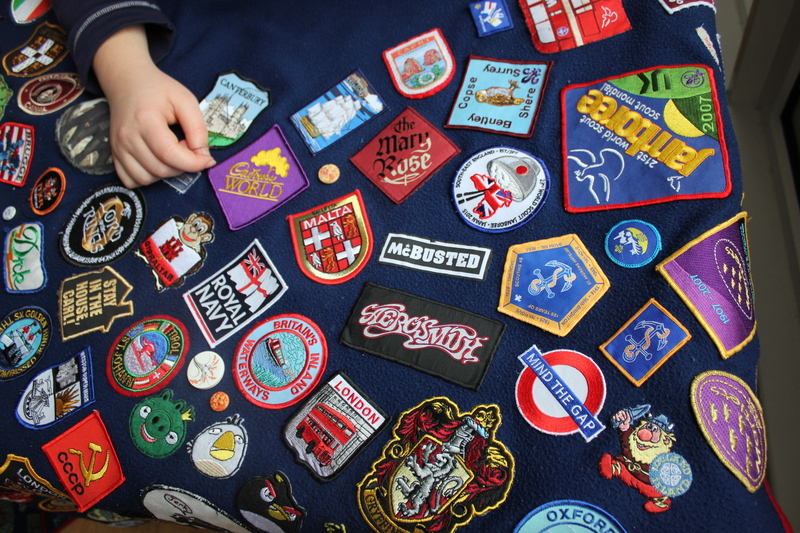 She confirms that she would not throw the souvenirs away even if it is broken in the future. The inner part of this souvenir is made of metal, but Wang Wei still think it is unsecure that she always have something representing China in her home. The solution is, she has back-ups. Data collection is a ongoing process: I am interested in your souvenir collections even the even the project’s fieldwork is finished. Share your story with your souvenir with me by filling in the souvenir survey forms. I hold a free account on Survey Monkey which means limited questions are allowed ( 10 questions this time), so the form is stretched into two parts.